As a fairly new event, only running for a few years, Digital Kids Show needed more exposure on Google and improvements to their website in order to increase awareness of their event and to increase ticket sales. SEO MCR implemented a highly successfully SEO strategy and our web development team worked on making improvements to the Digital Kids Show website to make it more accessible. 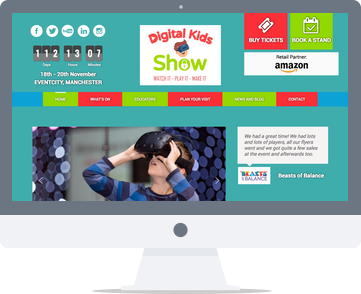 In the first year working with SEO MCR, Digital Kids Show saw ticket sales exceed expectations making for a bigger return and allowing them to become a larger event.